It was a cold afternoon in late October and Noah Scialom was on a roll. He was driving us two visiting New Yorkers around town, snaking around Baltimore’s wide roads, music from his iPhone on blast. It had the elements of a road trip, and spontaneously, Scialom proposed a wager. “I’ll give you $20 dollars if you see an interracial couple anywhere,” said Scialom. We were on the lookout, but after a few minutes of driving through Baltimore, we gave up. Turns out, it was a calculated risk for Scialom, who wisely assumed that he won’t shell out any money. In a gentrified and jam-packed place like New York City, it’s easy to spot couples of different sorts. But in Baltimore, where a Saturday afternoon means navigating through practically empty streets, it’s a Herculean task. 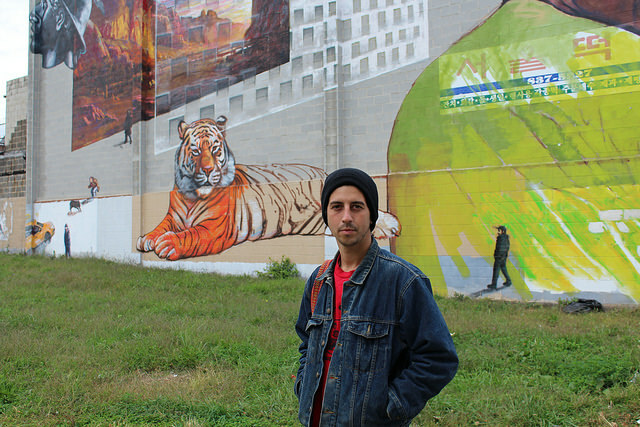 In his six years as a Baltimore transplant, Scialom has developed an eye for Baltimore’s social issues. 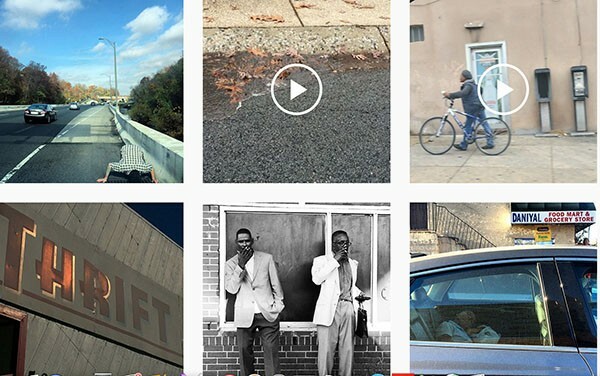 The Dallas native, who now works as a freelance photographer in Baltimore, takes pictures of everyday scenes in the city, as seen in his Instagram account @knowaphotographer, where he has over 10,000 followers. One of Scialom’s most notable pictures is that of a police confrontation in August 2015, where an officer was waving his gun around in the air, which posed danger of gunfire injury among crowds in Druid Park. The picture gained online and local media traction, even attracting the attention of Baltimore mayor Stephanie Rawlings-Blake. That picture, together with Scialom’s rising popularity in social media and in Baltimore, has been part of his serendipitous brush with photography. “I never really thought of it as a career before,” he said. His first stint with the lens, it seems, was when he lived in Rome and snapped photos using a Pentax K1000 camera. It was in college though when he realized that being a photojournalist is a profession that he can pursue. In the US, Scialom studied American history and political science at the University of Maryland Baltimore County. Somewhere along the way, his mother gave him a Rebel camera, “so it was natural to use it to just shoot photos.” He used photographer as a means to make money on the side, and it was on a party where he met an editor for the website patch.com, a community-centric news outlet where Scialom covered various events. Scialom also now has a wall of photos mounted at the American Visionary Art Museum (AVAM), where he is one of the participating artists in the museum’s The Big Hope Show exhibit. Among his endeavors, Scialom is proudest of his latest crowd-sourcing project. In February of this year, he toyed around the idea of making photography more accessible to Baltimore’s youth. The idea is to see what kids can come up with using old digital cameras. “So I went around and gave a bunch of kids in Penn North some old cameras and it was amazing,” he said. “Their works turned out to be brilliant.” So far Scialom’s project was met with enthusiasm, even from Baltimore’s locals who are in their 20s or 30s. Scialom has further sourced cameras from various donors. “Photography is not just about learning techniques,” he said, adding that photography is a good creative outlet for the youth, an alternative or recourse away from a life of violence and drugs. Scialom felt great and grateful on the thought of stimulating change in Baltimore through the lens. Even if he can pursue a career in a bigger city like New York City, he said that Baltimore is his home for now. A few hours with the New Yorkers has left Scialom pretty tired. He was sleepy, and he still has photos to edit and some shoots in line. He dropped us off at our downtown hotel, then after some bro hugs, he bid us goodbye before driving off.